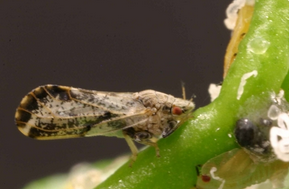 According to a recent NPR article, invasive pests inadvertently imported to Florida as cargo could be threatening crops across the state. NPR reports two arthropods in particular, the brown marmorated stink bug and the psyllid, are having an effect on the state’s agriculture industry. The brown marmorated stink bug was reportedly discovered in Allentown, PA, but has now spread nationwide and is currently posing a threat to Florida’s vegetable crops and the state’s ornamental plant industry. With the bug being studied at a biosecurity lab at the University of Florida, researchers feel confident they’ll be able to “identify natural predators and parasites that will help them control the stink bug,” the article states. As farmers across the country struggle with wet weather conditions as they begin to harvest crops, growers in the state of Florida are doing their best to combat the nearly two dozen new arthropods that have reportedly arrived this year.